Our New England DJ Wedding Package. Congratulations on Your Upcoming Wedding Day: Libbtunes Entertainment specializes in entertainment for upscale weddings. 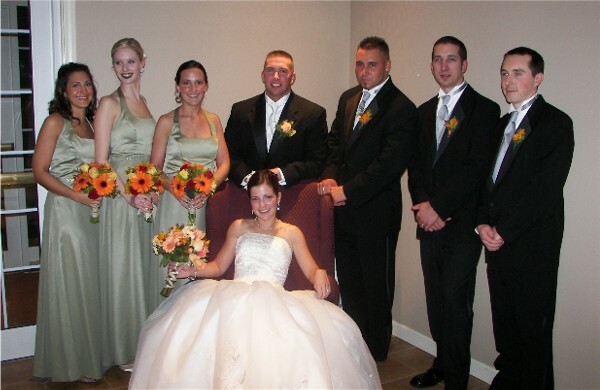 Bob has a passion for perfection, and thoroughly enjoys providing wedding couples with a first-class celebration experience on one of the most important days of their lives. The Knot! 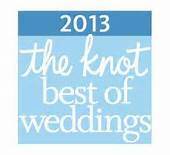 "We are proud to announce that Libbtunes Entertainment has been rated by local brides and voted again this year as "The Knot Best of Weddings Pick." Pricing: Libbtunes Entertainment's Premium Wedding Package prices depends on a few important factors, including: performance time required, optional amenities, time of year, etc. Seasonal and Friday/Sunday discounts are also available. You can obtain an “Instant Quote" based on your own special criteria for your wedding day, by pressing the Pricing button on the right. • Coordination of wedding party introductions & all special wedding activities. • Your own personal webpage to organize your music and wedding details. • Special music requests (Via our on-line 60,000 song Data-Base). • Personal consultation on wedding processes, music selections, etc. • Wedding Reception Planner / Wedding Timeline. 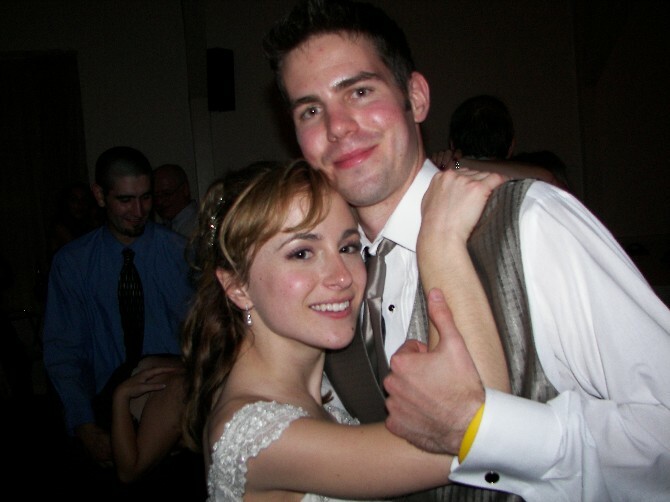 • Listing of most Popular Wedding songs for each wedding activity. • Ceremony music, Cocktail music, Dinner music, Dance music of all genres. • Special wedding dance music of your choice. • Tux, Suit or Casual DJ attire (depending on which you would prefer). • Professional Sound Equipment, including wireless microphones. • On-line ‘Performance Agreement’ (contract). • Optional, convenient on-line payment system. • No banners or tacky items, that are not in good taste with an elegant wedding setting. • Supplementary Photo DVD of your Wedding Day. The Role of a First-Class Emcee / DJ: A Key Element in Your Wedding Day Experience: Oftentimes couples wait to hire a DJ until after they have booked a venue and have solidified their other wedding arrangements. However, even if your wedding day is over a year away, it's advantageous to seek-out your Emcee/DJ as early as possible. This will give you time to see if he/she is compatible with your needs and to determine if you feel comfortable with them as your wedding Emcee/DJ. Another key element often overlooked, is that many couples think of only "music" when they are considering a DJ. Actually your DJ is also your planning consultant, entertainment director, and timekeeper of all your wedding activities. As your Emcee, they orchestrate your wedding party introductions, as well as coordinate all of your wedding activities with your photographer, venue coordinator, and your other chosen professionals. Simply stated, your DJ is a key element, playing a major role in assuring a smooth flow to your entire wedding reception. Unlimited Consultation: Libbtunes Entertainment will spend quality time with you, providing personal consultation to customize your wedding day to your complete satisfaction. Bob provides you with your own personal webpage, which includes an online wedding planner, wedding timeline, and access to the Libbtunes extensive music database. You'll receive professional guidance on various wedding reception processes. Libbtunes will also work with you and help you decide on the process that you would prefer, and customize the format exactly the way you desire. Prior to, and on your wedding day, Bob will share your planning information with your other wedding professionals to make certain that everyone is in-sync with the plan. This will assure a smooth flow to your entire reception. Your Wedding Reception Entertainment For the reception, Bob will make sure that you and all your guests are enjoying a fun-filled celebration that will be remembered long after your wedding day. He'll professionally Emcee your wedding party introductions and all your other special activities. He'll provide all the music genres, artists and songs that you want, from your first dance together, to cutting the cake, to the finale of the reception. Ceremony: If you are having your ceremony performed at the reception venue, Libbtunes can also provide music for your ceremony. We have a variety of beautiful processionals and recessionals available. Your Dream Come True: Your wedding is one of the most important days in your life. Enjoy a First-Class wedding experience, professionally Emceed and DJ'ed exactly the way you want it, and at a affordable price. A real value for your most special day. Why settle less? Call on Libbtunes Entertainment, an Emcee/DJ who wants to make sure that your very special day is a wedding dream come true. If you would like to see a glimpse of what Libbtunes offers watch the video below. 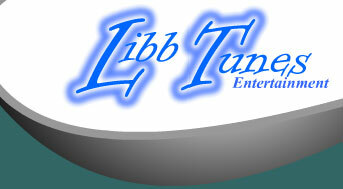 Check to see if Libbtunes Entertainment is available for your wedding day. You'll be provided with an 'Instant-Price-Quote'. Libbtunes will also provide you with package details and customer references with contact information.